Savka Beauty > News > Skincare > What can you expect at Savka Beauty? When you book a treatment with Savka Beauty, you are treating yourself to something special. Unlike the in-and-out, off-the-shelf services provided by many practitioners today, Savka treats you as an individual – catering to your concerns, goals and requirements. From the moment you enter her door, you will be pampered with an unforgettable beauty experience. So what is so different about a treatment with Savka? With Savka, every moment of your treatment is dedicated to pampering. Unlike other salons, if you have a mask on, you won’t be left alone while it sets. Rather, you’ll be treated to a hand or foot treatment so that every minute of your session is maximised. With luxurious products and Savka’s experience combined, you’ll enjoy pampering from head to toe. Savka is not interested in pushing products or services. Rather, she will listen to your concerns and skin goals, and will target your treatment specifically for you, to maximise your results. Working with you, she will determine what is best for your skin and your body, and will treat you accordingly. With only one room, you will be the only person in Savka’s salon at any given time. There will be no waiting around, no waiting rooms, and no exchanges with other clientele – this time is all about you. Savka works alone, and so she will always be the therapist looking after you. This means she will get to know you – your skin, your preferences, and your goals – so you never need to worry about explaining yourself, or starting again. In turn, this means you achieve better results, more quickly. As Savka’s salon is only one room, you will never need to hear someone being treated next door, or a conversation in reception. Her room is quiet and relaxing, so all you need to do is focus on you. Savka can’t wait to welcome you to her beautiful salon. 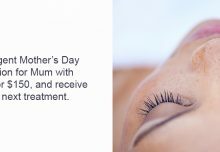 Book in now with Savka Beauty.